Smoked Salmon Chowder may become one of the best recipes I’ve made so far. This dish will impress even the most discerning palate and can be made to perfection by any level of expertise. If you like clam chowder, you will LOVE this. 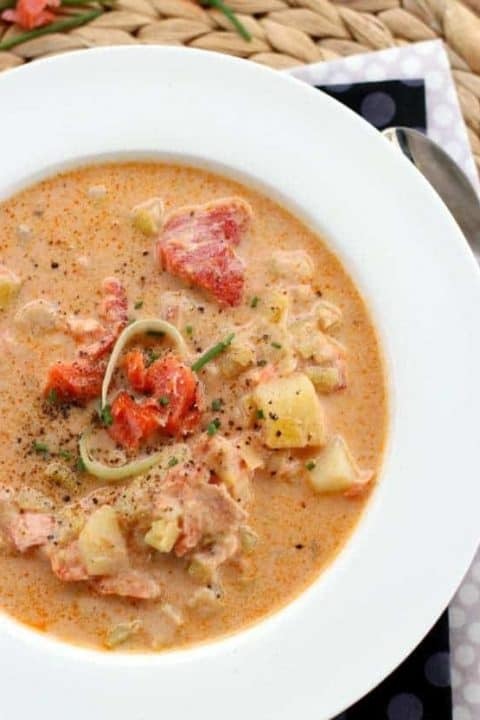 If you like salmon and don’t care for clam chowder, you will LOVE this. 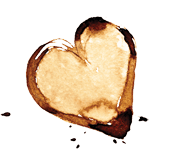 But the best reason to LOVE this recipe? It’s so flavorful and could not be easier to make. The base for this chowder starts with sliced leeks, crushed garlic and chopped celery. Then creamy russet potatoes are added along with a mixture of vegetable broth and milk that binds all the flavors together for that yum factor we all crave. And last but not least, flaky smoked wild salmon adds richness and tender texture. It does require a little heavy cream at the end too, but how can you go wrong with that? This chowder was so easy that I was skeptical it could yield the complex flavors I was hoping for. My first go-round with the original recipe did not offer enough of the delicious broth for the last couple of servings, so I had to make a few adjustments until each bowl had the right balance of chunky ingredients plus enough flavorful broth to accommodate several dips of hearty bread. The natural oils from the smoked salmon infuse into the broth for uncompromising flavor. Serve with extra salmon sprinkled on top and some fresh chives if you like. I’ve made this so many times now and even a few times in the same week to adjust and develop the recipe. This process usually makes my taste-testers tired of a recipe when I’ve made it so much in a short period, but this was the first time they welcomed the same dish on even the third night within a week. By now it’s obvious that I really want you to try this recipe, because once you do you won’t be disappointed. Cozy up to Smoked Salmon Chowder on a cold winter night or serve it as the star of your next holiday get-together. This soup comes together in less than 30 minutes, is made in one pot, and tastes like you spent several hours putting it together. Heat the olive oil in a large, heavy-bottomed pot over medium-low heat. Add the leeks and garlic and saute them for 2 minutes. Add the potato, celery, salt, and pepper and cook over medium heat for about 1 minute, stirring constantly. Add the broth, cover and simmer for 10 minutes. Remove lid and continue to simmer until potato is tender, about 5 minutes more. Add the tomato paste and milk, then the salmon, reserving a few flakes to decorate top of soup. Continue to heat soup for a few minutes but don't let it come to a boil or the milk will separate. As the chowder heats, stir in the cream and continue to heat through. Remove from heat, garnish with chives, crack more pepper over the top, and serve. This soup is still delicious one and even two days later which is not always the case with fish recipes. 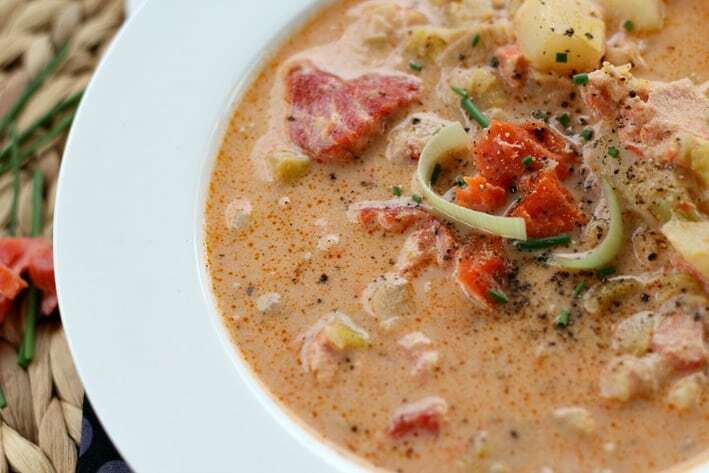 Cook's note: This chowder is delicious with asparagus tips added in at the same time as the tomato paste and milk. I add about 1 cup. Potter’s Porridge – and a Giveaway! I am looking at trying to make this dish for the family. I have one question, can half & half be substituted for the milk and heavy cream? I just made this for my family last night and it was a hit (I followed the recipe except I only used half the amount of salmon and substituted the other half with cut up prawns). The whole family (included two kids!) loved it. My husband ate the left overs for lunch today and said it was even better today…just like you mentioned! I just made this, and I totally loved it!! I’ve been craving salmon for some time now, but it’s been too cold for anything other than soups and baked dishes. 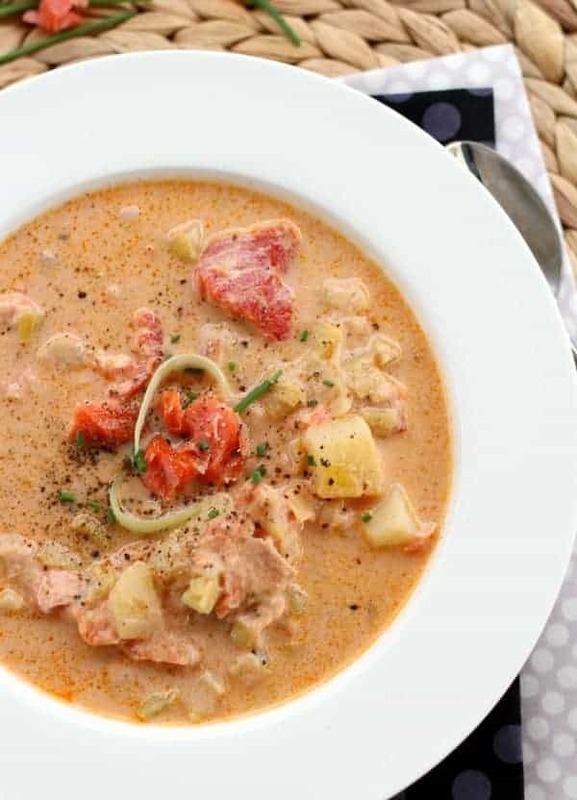 This salmon chowder was exactly what I was looking for, and your recipe did not disappoint! I could see why your tasters wouldn’t complain about having this several nights in a row, and I’m excited I’ll get to do the same now. In your pictures, there also looked to be a diced tomato garnish for visual effect, so I roasted up some roma tomatoes in garlic and olive oil and threw a half in per bowl and for me it helped balance out the creamy richness of the cream, milk and salmon. Oh! Also, the vegetable broth said it should be divided, but I only saw one place where it was mentioned in the recipe, so I threw it all in at the same time. Hi Randi, I’m glad you liked it, I’m craving it again already! What looked like tomato in my picture was just more salmon but you know how red wild salmon is, lol. BUT… I’m glad you thought it was tomato because I am definitely trying some tomato/garlic/olive oil next time. That sounds delicious. Also, thanks for the heads up on the divided broth. I meant to correct that in my recipe, and you were right to just add it all at once.